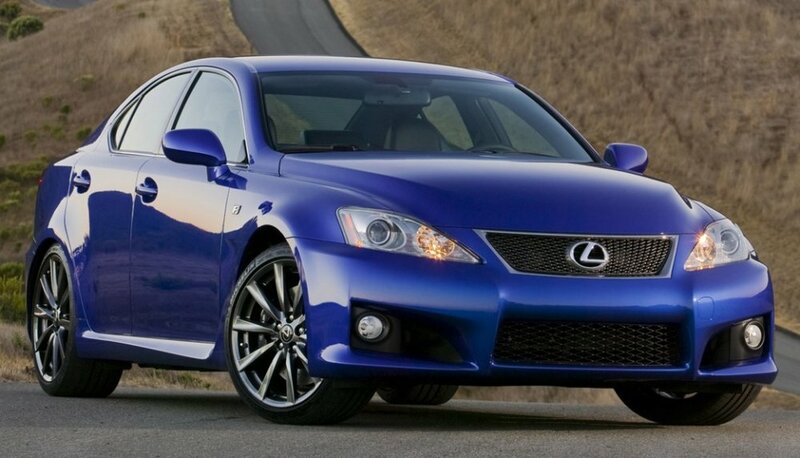 The Lexus IS F is a fantastic performance machine and when it was introduced for the 2008 model year, the most eye-catching color was Ultra Sonic Blue. This color has become a hot commodity in the used-car market and one member’s search for a 2008 USB IS F led him to ask the community for input on fair market value. So I’ve been on the lookout for a clean USB ISF and came across what looks like a very clean 2008 USB ISF, 68k miles one owner car with a nice service history, looks well maintained and garage kept, car has the alpine white interior which I like a lot, not sure if that changes value over the black or not, seems like the USB cars bring more money than any other color though and anything I’ve seen priced sub 25k tends to be beat up garbage. What would you guys think a fair price to pay for this car is? It is from a dealer as well so factor that in. I want the car but don’t want to feel like I’m buying something that’s going to be worth 10k less than what I paid in 2 years. That initial question has led to a discussion on how to determine the fair price for the 2008 IS F while other members provided insight on the process of finding one of these sought-after Lexus sport sedans. Whatever you’re willing to pay for whatever condition it’s in. Price is subjective. Value is in the eye of the beholder. Pretty low miles for a 10 year old car! Could be a good thing, could be a bad thing (like the reason why it has sat for so long, etc). Bit you’re right, if the price is “too good to be true”, that should immediately raise a red flag. If everything checks out good, I’d be comfortable paying $25k-$28k (which is still a deal). Since 2011’s in good condition can be found in the high $20s, most I’d pay for an 08 with 70k miles would be about $23k. Only 2011’s I see under $30K have at or more then 100k (97K-99k) miles, even then then, they’re $27-30,000.00. And USB? 2011? There is ONE 2011 USB for sale on Autotrader in the entire country! It has 55k miles, and its $37,000.00 and I believe it’s also the one with questionable history from an accident? There is like less than 20, 2011’s for sale in the country in ANY COLOR….. Throw in 2012, then that number bumps up to about 30 for sale TOTAL. 2 examples in Ultra Sonic Blue. That doesn’t bode well for a “bargain”… just sayin…. Especially since USB DOES indeed bring a premium that “value guides” won’t tell you.Your information to the OP is completely off base, and terrible advice, he WILL NOT buy that car for $23k. BUY THE CAR, if its clean, has good history, and it’s in your budget, don’t worry about a grand or 2, or even 3-4k, or what people on this website think is a good deal…. the majority of people on here that talk about how good a deal they got are either lying, was purchased a long time ago when there was a lot more available, or it isn’t as good a deal as they think it was… Buy the car, or someone else will, soon. You won’t lose much money on it, nor will it be a bad purchase. Realistically if you can get that car under 28-29k (which is what they’re asking for it, it looks like? 28,900.00) and it’s in the pristine condition you say it is, you’re doing well. If it’s clean and nice, it will sell for what they’re asking. There is only a couple USB 2008s for sale in the country also. I can promise you, if you keep it nice, and clean, and relatively average miles the car will NOT be worth 10k less than it is now, 2 years later. 2 years ago prices weren’t that much different than they are now, and there ARE NOT more for sale now, so what does that tell you? Values are leveled off, if not going up slowly as more and more examples go away. Lastly, do your research and due diligence, if you’ve been watching them for a while looking to buy? You already know what a good price is, you already know what you’re after, that’s why you posted on here, for validation that you may have to pay close to asking price, or more then you originally thought you could… unfortunately a lot of people do that on here, and get bad advice, and feel stupid for paying what they thought was a “good deal”, or more than a “good deal”, and some jack wagon that has no clue says “ohhhh yaaaaa i paid like 27,500.00 for a 2012 with 30k miles a year ago, I wouldn’t touch that thing for more then $20,000.00” …. No they didn’t, they’re full of it, or it was a rebuilt POS, or they don’t even own an ISF at all, but they’re experts…. If it’s not a “good deal” by ClubLexus standards, buy one that is a “good deal” by this forums standards….oooohhhhh yaaaaa….. YOU CAN’T!…. Just wait around another 7-12 months for the next clean USB ISF to come up. You’ll find your unicorn, and hopefully no one else is also looking for a USB ISF at the same time to bump you (hint there are many, just look at classifieds, there’s multiple people with “WTB BLUE ISF” posts)…. sooo … uhhh… ya…. good luck. Also a lot of people seem to not mention much, even if it’s a nicely maintained car… Brakes and tires can run $1500-3000.00 or more for 4 rotors, pads, 4 tires, labor, depending on what you want. So a USB 2008 ISF with 68k miles priced at $28,900.00 that needs brakes and tires soon (say 5-10k life left), isn’t much different than paying $31,000.00 for a 2008 USB ISF with 68k miles that has brand new rotors, pads, tires already done..
With how little of these cars there are available, especially BLUE, it’s definitely not a “buyers” market. For those of you wondering I did find a car, I decided it made sense to look for a 2011+ for all the upgrades over the 08s since I most likely would have ended up dumping a lot of money into an 08 to upgrade to a LSD diff, coil overs LED headlights, etc, things that come stock in the 11 so it just wouldn’t make much sense to buy the 08 for me. Luckily I was able to find a 2011 for a reasonable price, basically same price as the 08 I was looking at with a few more miles, clean title with history of maintenance done at Lexus dealer so I thought it was a good trade off, unfortunately it’s across the country so will take some time to get shipped over to me. I will post some pics when it comes in. $27,850 and 91k miles. It’s a USB with black interior. He hasn’t shared any pictures yet, but the pricing discussion has continued in the original thread.